CCA GALLERIES is delighted to introduce world renowned artist FRANK BOWLING with a new limited edition print, his first silkscreen in over 30 years. Launched at the London Original Print Fair ‘Andrew brought greetings from Allen Jones’ is available on our website. Please call the office on 01252 797 201 to confirm availability. 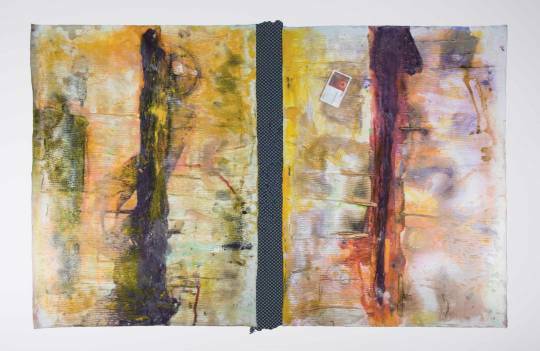 Frank Bowling OBE RA (b. Guyana, 1934) moved to London in 1953, where his artistic career began shortly after his arrival at the Royal College of Art (1959-62). The artist has since established studios in both New York and London. Bowling began his career as a figurative painter, and was involved in the British Pop Movement of the '50s and '60s. His first solo exhibition, Image in Revolt, was hosted the year Bowling graduated at Grabowski Galleries in London. 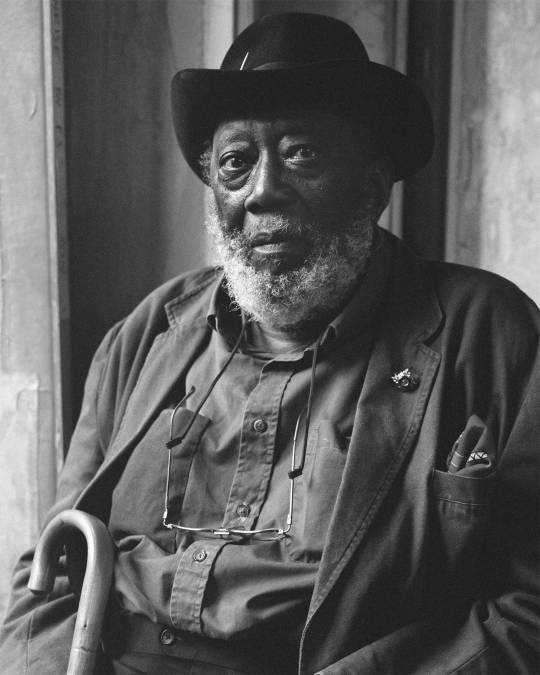 However, in 1966, Bowling decided to move to New York, aided by his first Guggenheim Fellowship awarded in 1967. Following this move to New York, Bowling’s painting began to turn to abstraction – the field in which his contributions were to be most significant. His pictures, which had always inclined towards a frontal geometric structure of space, became more geometrically complex, guided by principals of mathematics and symmetry. It is during this transitional period in the mid- to late-'60s that Bowling’s seminal body of work, the Map Paintings – a series of quasi-abstract colour fields overlaid with stencilled images of maps of Australia, South America and Africa – was produced. In 1971, Bowling met Clement Greenberg, who not only became a regular visitor to the artist’s studio, but also an important influence to Bowling. Greenberg’s advice and encouragement helped remove any lingering doubts Bowling might have had about his commitment to modernism. The social and political imagery and narrative present in Bowling’s earlier work was replaced by an increasing focus on material, process, and colour. By this time, Bowling had developed a very personal palette for his large, light-filled, lyrical colour abstractions that distinguished his work from that of earlier Colour Field painters working in the USA such as Kenneth Noland, Jules Olitski or Larry Poons. However, never content to stop exploring and experimenting with the possibilities of paint, Bowling continued to innovate with new processes. He subsequently developed a special mechanical apparatus which titled the canvas so he could pour paint onto it, creating the spontaneous fusions of layer and colour now known as the iconic Poured Paintings. In the early 1980s, the influence of geometry became visible not just in Bowling’s paintings, but also in the way he worked with canvas. He started using chunks of Styrofoam to create quasi-sculptural relief, a technique the artist continues to use today. Indeed, Bowling’s recent works produced over the last few years continue to explore the nature and possibilities of abstract painting, the diverse range of principles and processes explored across his career now converging and coalescing in dynamic new configurations of colour and form. This new period of painterly experimentation has received critical acclaim, and has recently been showcased in exhibitions in the UK and US. Bowling continues to orchestrate the emotive potential of colours to communicate a visual experience of uniquely sensuous immediacy. Bowling’s paintings have been exhibited widely and internationally. Selected solo shows include Whitney Museum of American Art, New York (1971); Serpentine Gallery, London (1986); a UK touring retrospective (2003); Royal Academy of Arts, London (2011); Spritmuseum, Stockholm (2014-15); Dallas Museum of Art (2015). In 2017 the Haus der Kunst in Munich presented Frank Bowling: Mappa Mundi, a comprehensive survey of large-scale paintings. Bowling’s work can be found in numerous public and private collections including the Metropolitan Museum of Art (New York), Museum of Modern Art (New York), Museum of Fine Arts (Boston), Dallas Museum of Art (Dallas), Royal Academy of Arts (London), Tate Gallery (London), Victoria & Albert Museum (London), and the Whitney Museum of American Art (New York).